Your hands...they're so very human. Doesn't that bug you? You could be living it up like a hideous beast of the night if it weren't for those pretty hands of yours. You've got the attitude, you've got the creepy animal factor. You just might pull this off. Don't worry about your hairless hands with their dull fingernails. We've come up with a solution. 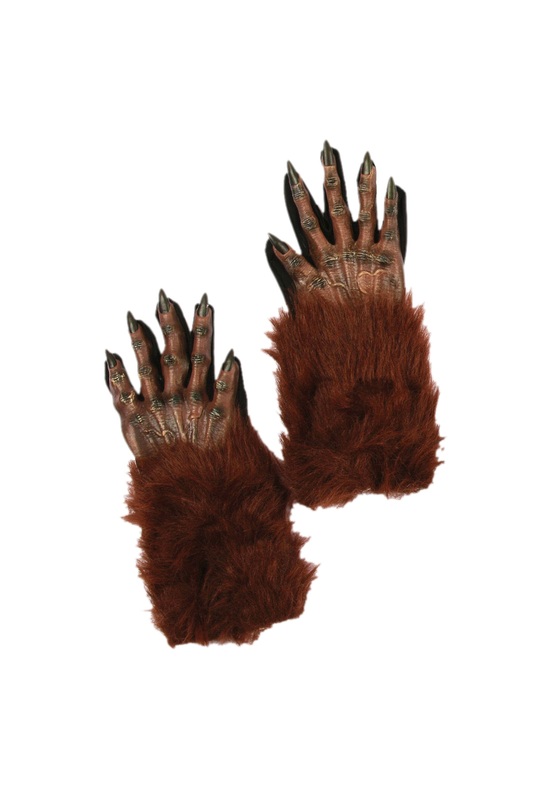 These werewolf gloves give your werewolf spirit the peace of mind they've been looking for. No need for your weak hands to give away your every day human form! That cool werewolf club will welcome you with open paws. You'll be howling with them by the next full moon! You can also scare small children with them or confuse your dog! Wear them for that family portrait to give it some unexpected hairy flair. It's great fun for anyone with a desire to look like someone afflicted with lycanthropy.